Chrome 12 is now available in the stable channel and all the Chrome users can try the new features. 1. 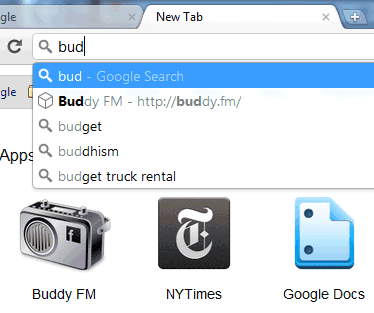 App search in the address bar. 2. Clear Flash cookies (or Local Shared Objects) using the "Clear browsing data" dialog, instead of visiting a webpage. 3. 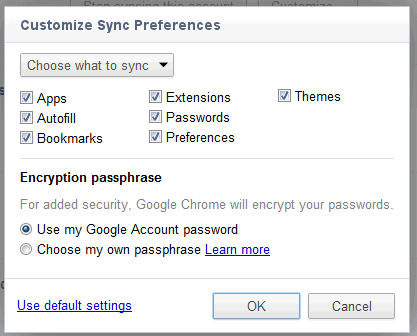 Chrome Sync no longer uses a modal dialog and it's now properly integrated with the tabbed settings page. 4. Safe Browsing borrowed a feature from Internet Explorer 8: checking downloaded files for malware. Right now, this feature only works for Windows executables and shows a small message in the download bar. 5. No more Gears in Google Chrome. You'll no longer be able to use any app that relies on Gears to provide features like offline storage or web workers. The only Google service that still used Gears was Gmail. 6. Hardware accelerated 3D CSS (or 3D transforms). Chrome's blog suggests to try "Shaun the Sheep", an experiment that uses WebM video and 3D CSS to create an immersive app. 7. Chrome for Mac asks for confirmation when using Cmd+Q to quit the application. "When you press Cmd+Q, it brings up the floaty panel telling you to hold the key combo. When you do, it quits after 1.5 seconds." That sounds annoying. 8. Print and Save buttons in the PDF viewer. 9. A better interface for adding start pages. This means that Offline Gmail is just around the corner. I wish they had launched it today as well. For (7), "Warn Before Quitting" is an *option* in the Chrome menu (at least in Chrome 12 beta channel). I promptly turned it off. Forget searching for apps, the real money is searching within apps! Soon you can search this way on your iphone/android device. Search for restaurants in Malibu and listings from yelp come up. Search for Clint Eastwood and information from IMDb and Wikipedia come up. How many times do you go to Google and you end up on these sites for the same information. The reason is that I forget what apps I have installed. Google and Apple should also work together on a new user friendly service that scan bought apps. If you buy an app on iOS there is no reason that you should have to buy this app again on Android Market if you switch to Android. More tech companies should think more about the consumer. Google should talk with Apple and make this proposition: - if we add MobileMe chat protocol in Chrome OS chat service, will you add Gtalk protocol in iMessage? Wow, still no print preview? You can enable print preview from about:flags (type this in the address bar), but this feature is not yet ready for launch. The last time I tried it, Google used the PDF viewer to generate huge PDFs and the performance wasn't good enough. Hold command-Q to quit is awesome! Really quiting by pressing Q is really an impressive function. The Mac quit feature is not annoying, it's a life saver, so many times I have cmd + q instead of cmd + w.
Still no most-recently-used CTRL+tab switching? What about "Sync of Search Engines"? Clear Browsing Data should use a modal dialog and not a properly integrated tabbed settings page when using Ctrl+Shift+Delete. 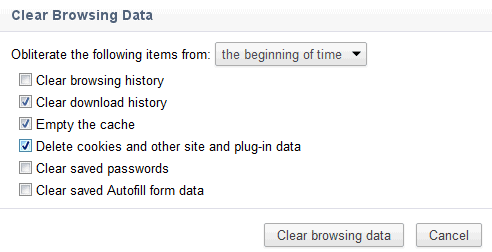 This Accelerator should open the Clear Browsing Data dialog like in older versions. Print Preview. Enabled, but when I try to print get the following. , enable the "Chrome PDF Viewer" and try again. The PDF viewer is NOT disabled. Running win XP (SP3), Chrome 12. I do have FOXIT installed on my computer, but it is not used for normal google docs viewing - any ideas. I have lost confidence in Google as a company. They still has some great products but they are getting fewer every passing moment. Somehow they employ the smartest people in the world and they still fail. Why do Google fail in social, for example? I think the reason is their ideology, that everything should be baked in with search. Google plus 1 will be a failure because there is no incentive to share stuff. You follow a person or a brand on Twitter and Facebook because you like what that person or brand is sharing. That could be personal quotes, YouTube videos or discounts from brands. When you share links, using Plus 1 the link vanish into the thin air. There is no network, no control of groups of friends that can see that information. Google says that the shared information will be watchable by your contacts when they perform searches. The problem is that my contacts include family members, friends, workmates and other people like my doctor, dentist, casual friends, neighbors etc. I don't want to share the same type of information to all of these groups of people. AND why should I share? What is the gain for me? I believe that there is another word that describes what Google are trying to do. With Plus 1 you can "endorse" websites (companies, destinations, applications, people, websites and more. Sharing by being "social" is another matter. You gain reputation, following, friendship and maybe a new job. Social and endorsing is two different sharing methods. If you can control what groups of people that see your endorsements there is no need for a network. The search engine is sufficient here and would work pretty fine when people learn how to use it. I would guess that Google want to tap into sharing as well since they have invested money into a company like Zynga. Playing games is very social and this have been proven on Facebook. My advice to Google from a customer/user point of view is to simplify their products. Learn from Apple. In social, don't make the same mistakes as Facebook. When the network is ready, make sure there is understandable lines of security and privacy. There should also be strong boundaries between brands, individuals and groups of them. I don't see advertisement as a viable income source of these kinds of services. There is a lot of privacy issues with this but something similar would work and that is discounts/offers. Income from buying online games and items in them would also work. I also feel that people might be ready to pay a small fee to join a network if there is something to gain! What about synchronizing search engines? for (7) This is a very important feature for every Power User! Ever used CMD+W to close a tab and slipped to Q ? Instant Quit is not nice in that situation. Of curse, you can restart Chrome and get all tabs back, but its annoying. June 7, 2011 4:48 PM "
I wish I believed this but Google seems completely oblivious to the importance of an offline option. It's very disappointing.